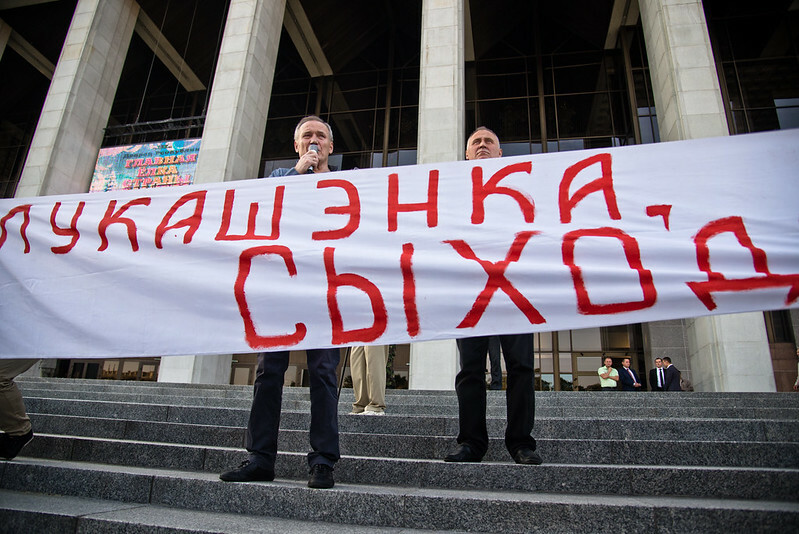 Statkevich and Nyaklyayeu, both presidential candidates in 2010 and former political prisoners, opened the demonstration with speeches describing the unfairness of the elections the day before and the lack of basic democratic principles in Belarus. The organisers were supported by the Malady Front ‚Young Front‘ and the solidarity movement Razam! ‚Together!‘. Nyaklyayeu said that the two newly elected oppositional deputies were „just appointed to their posts“. 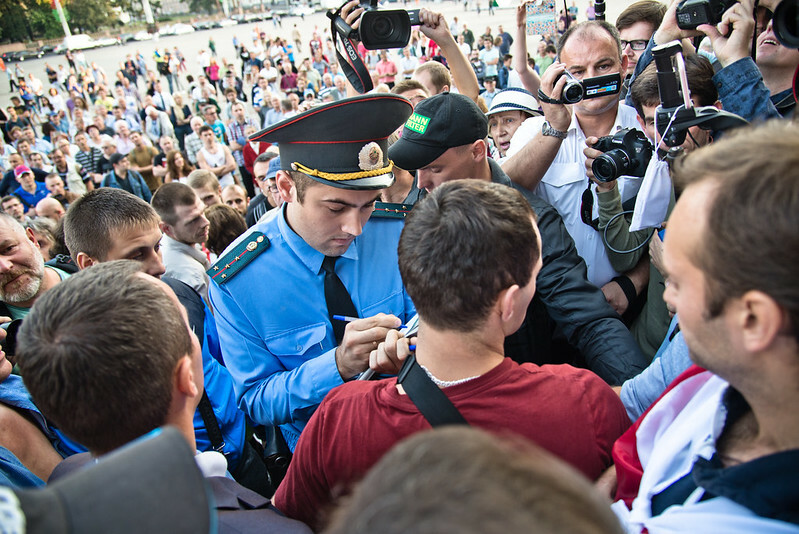 Zmitser Dashkevich, leader of the Malady Front, summed up the general attitude towards the protesters: „Frankly speaking, nobody is interested either in the elections or in the protest.“ After the police tried to detain some of the speakers, a scuffle with the police forces – some of them in Russia outfits – started. 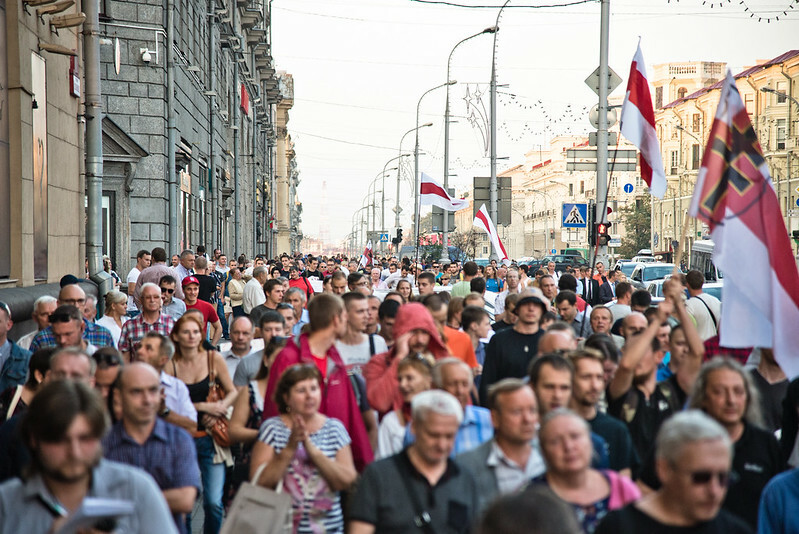 But the group of protesters was able to prevent further action by the authorities and spontaneously decided to march to Independence Square. 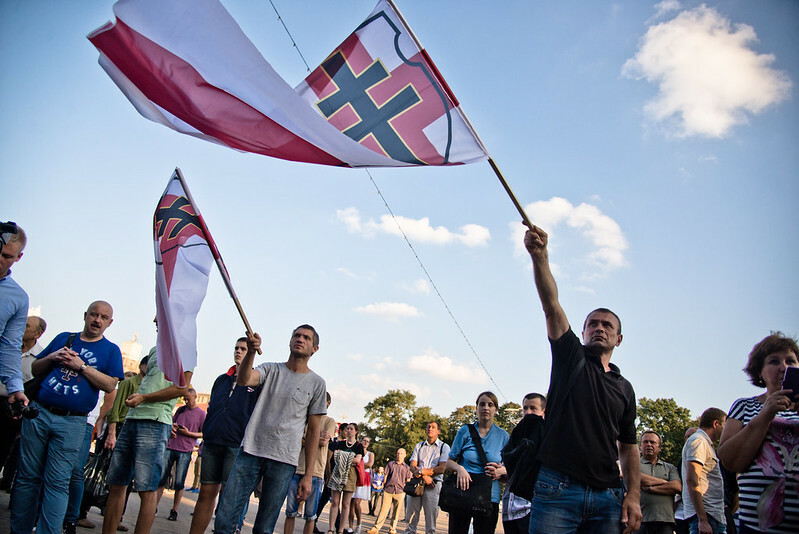 There at around 20:00, two hours after the start of the gathering, the participants dispersed with no further major aggravation. 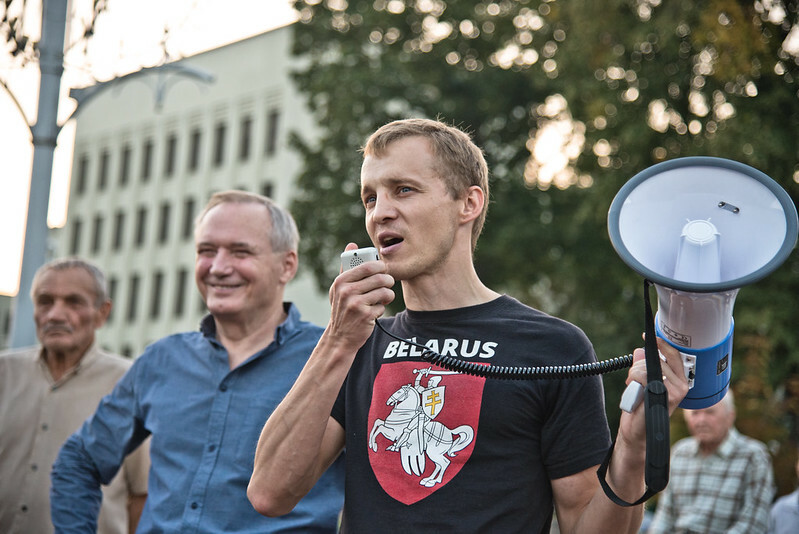 Uladzimir Nyaklyayeu speaks in October Square in front of around 300 people and dozens of journalists. A police officer among the group of protesters. 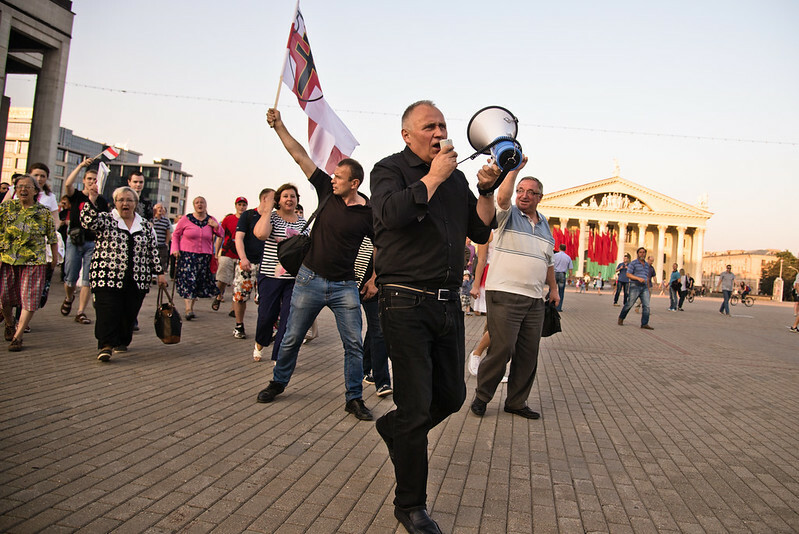 Mikalai Statkevich leads the crowd towards Independence Prospekt. 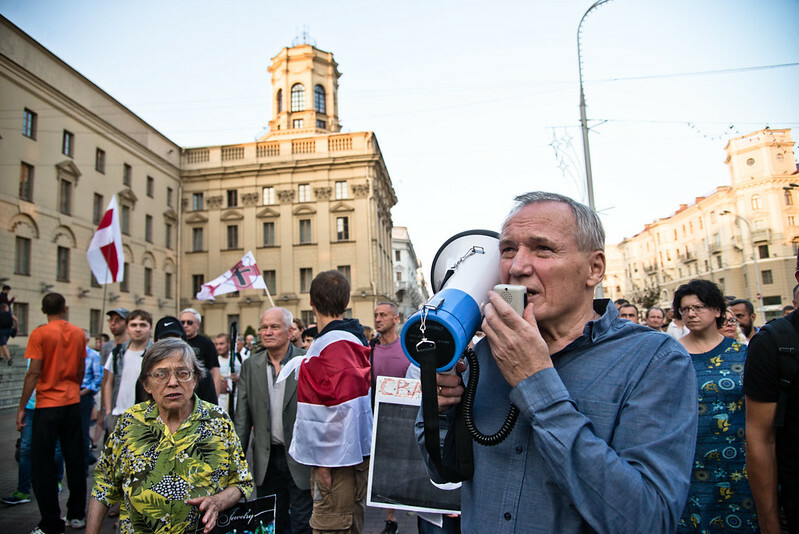 Uladzimir Nyaklyayeu speaks to the protestors in front of KGB headquarters. 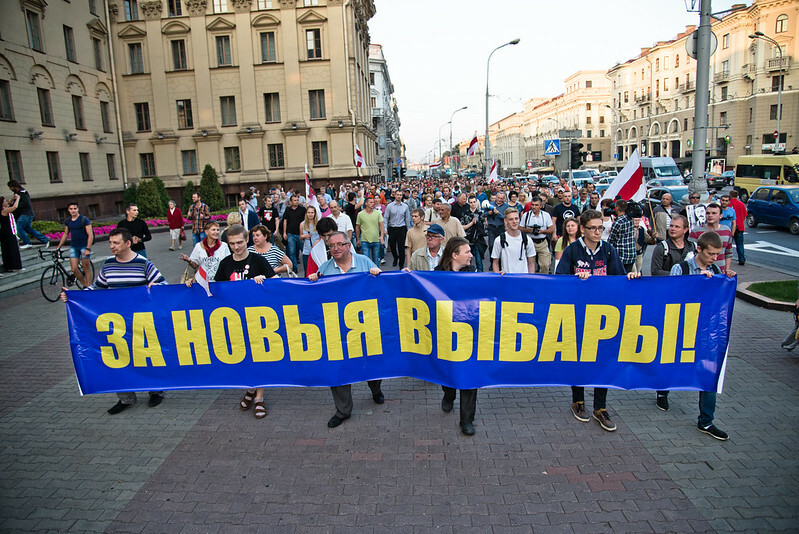 The group of around 300 protesters on Independence Prospekt. 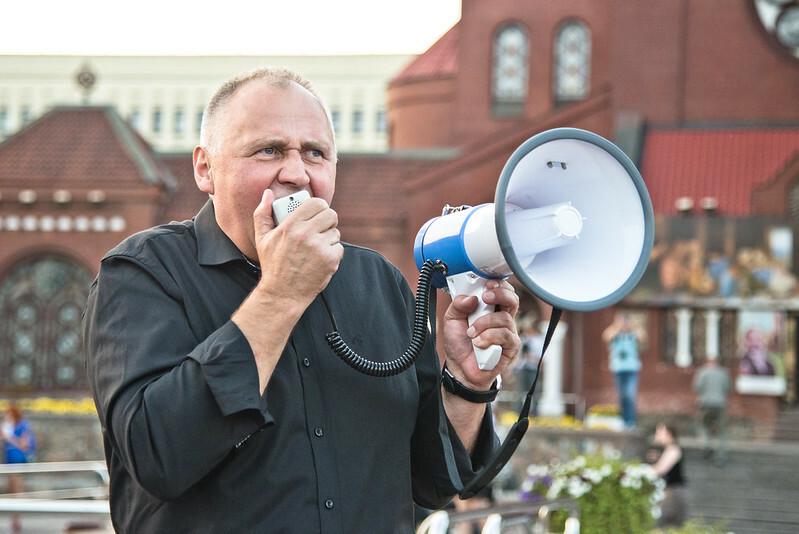 Mikalai Statkevich speaking in Independence Square. 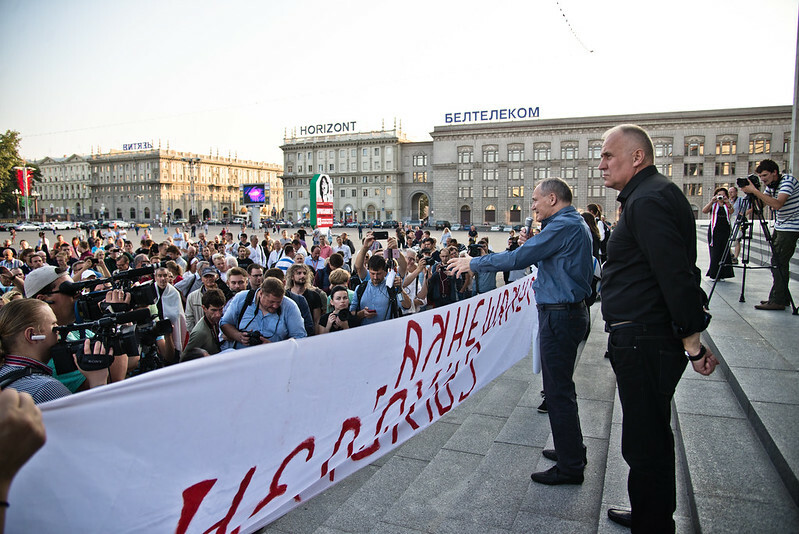 Zmitser Dashkevich speaking in Independence Square. 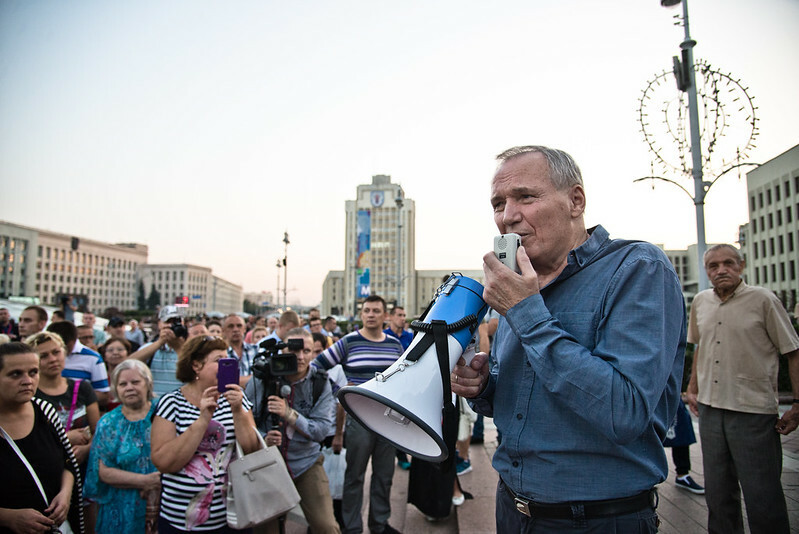 Uladzimir Nyaklyayeu speaking in Independence Square.